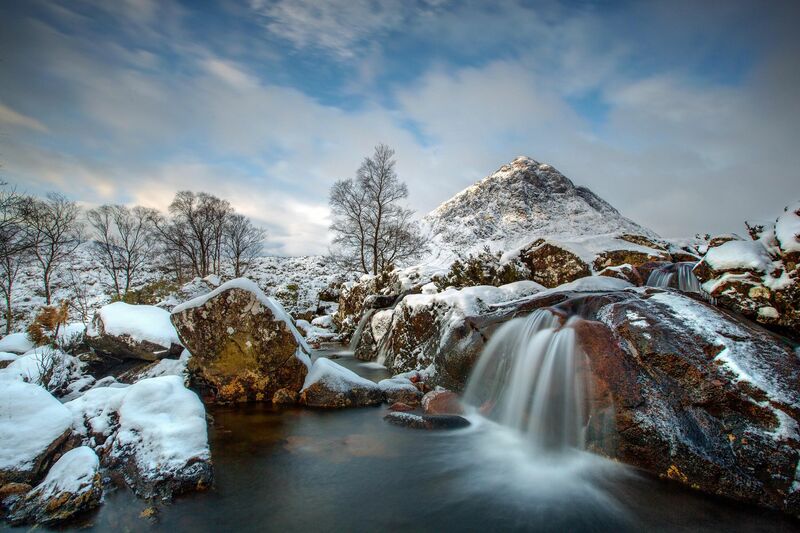 An image of the River Coupall Waterfall and Buachaille Etive Mor deep in winter snow. I have taken many images at this location but I can honestly say this is one of my favourites. The conditions were just perfect for photography and the light for once just completely obliged.